Two different days, two very different snow conditions, one pair of skis and a multitude of kick waxes - If I have learned one thing about skiing it is that testing kick waxes is essential to both enjoy the sport and to best prepare for your races and events. One thing that Midwestern skiers have learned well is that our snow conditions are subject to constant change. 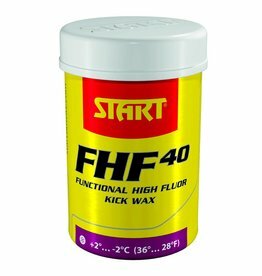 If we take change as a given then it is equally important to know both which kickwaxes do work and which don’t work because the last thing you want to do on race day or on a busy day when you want to get a ski in, is to waste valuable time and energy on a kick wax strategy that won’t work. It is important to know which kick waxes won’t work so you can instantly eliminate some waxes and focus on what you know does work so you can narrow in on what will work best on any particular day. 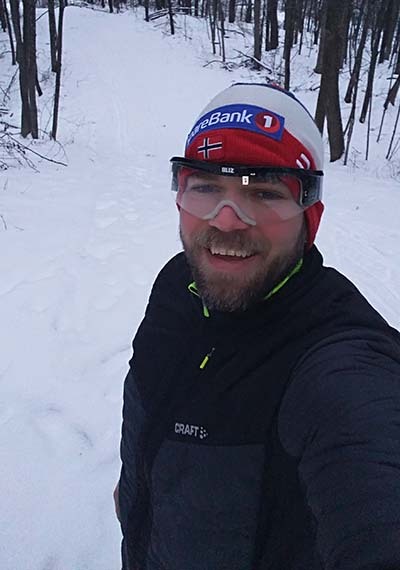 Recently, I skied at the Balsam Branch Trail system in Polk County, Wisconsin. This trail system was lucky enough to accumulate a good base of early season snow meaning there was some great natural snow conditions for ski wax testing with the enhanced benefit of fully groomed loops. In other words, that there was no hamster loop skiing for me! I brought my old Fischer RCS classic skis from the late 90’s to use, due to the snow conditions. Over the course of a few days I was able to get out and ski twice. Both skis were on incredibly different snow conditions. The first day at Balsam Branch was approximately 20 degrees F and snowing. The second day was about 34 degrees F and transformed snow. This was the perfect stage to practice the art of kick wax testing, and if you know me, or are an intuitive reader, then you know I thoroughly enjoy kick waxing, and in fact I might be a little nutty about it. If you haven’t you should see my kick box. Its impressive. The changing conditions of the trails at Balsam Branch gave me ample learning opportunities. The first day, I applied a Toko Base Binder, three thin layers of Swix Extra Blue, and I FINALLY had the opportunity to use Rex’s new Racing Service Grip Wax 30G (designed specifically for new snow conditions). 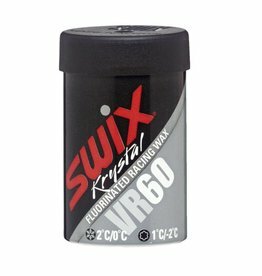 The Rex 30G was applied as a top coat over the Swix Extra Blue. Immediately, I became excited about this wax. On this particular day the 30G had the perfect balance of kick and glide. I look forward to using Rex 30G more and more this winter. Hopefully we will get more new snow conditions. My fingers are crossed! A few days later was my second ski at the Balsam Branch Trail System and the snow changed quite a bit. The temperatures warmed to 34 degrees resulting in transformed snow. My goal this day was to try a few different kickers and just see what happens. I layered some Rode Violet as my main non fluoro kicker. This day, I tried three different top layers for kickwax including Start RF Purple, Rex ProGrip Red, and Swix 55N. I know Swix 55N is normally for new snow, but I wanted to see what it was capable of. In the past, I would say I’ve had better experiences with Start RF Purple in new snow too, this proved to be true for this day. Start RF Purple was very fast, but not enough kick for my taste. 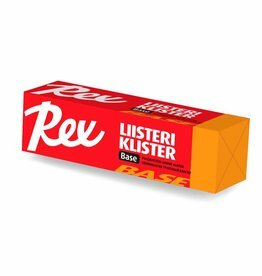 Rex ProGrip Red was probably the best of the three for kick and glide. I think of kick wax as a balancing act between kick and glide, application is a huge part of both factors - the equation is part good wax choice and part proper application. If you have any questions regarding kick wax application stop in at Pioneer Midwest and we would love to show you good wax application technique. 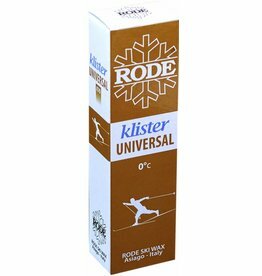 A classic ski with kick wax applied properly with condition appropriate was is more likely to provide a favorable balance giving you the skiier a faster and more fun experience. 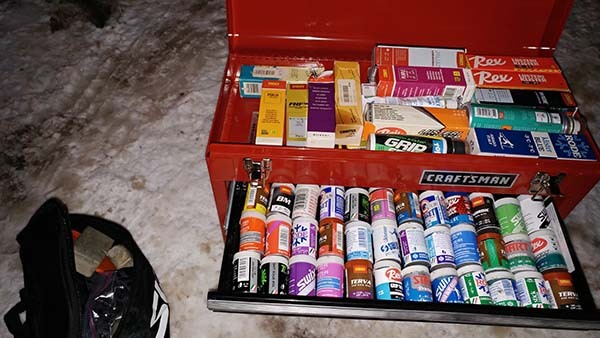 I’m absolutely positive that I could find better combinations of hardwaxes for this day, but, I was itching to ski and additionally, it was getting dark. It’s training days like this, that I log notes on how waxes performed (in fact its a good idea to make wax notes in your training log, or keep a pen and notepad handy in your wax kit). Finding waxes that work well in certain conditions is great. However, I find that sometimes failure is just as important. Know when hardwaxes or klisters don’t work. This way, when a race day arrives, I at least now which wax not to try. 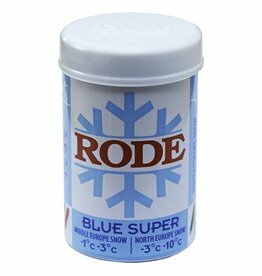 In hindsight, I think I would have used something a touch warmer than Rode Violet and the topcoat would lean slightly colder to provide more glide. The big takeaway is that trying waxes while training is what provides this insight. The more you use your kickwaxes, the more familiar you are with when and how they work. I often hear customers ask when hardwaxes and klisters work, and from my own experiences can provide you general information when certain waxes are performing well. However, nothing can substitute your own experience of applying the kick wax as well as utilizing waxes in various conditions. Application is important for both hardwax and klister. The more you feel comfortable with applying hardwax and klister, the more likely you’ll consistently make fast skis for racing. This is especially true for klister application. I encourage you to be persistent in learning application processes. Be brave and find what works for your skis and your ability as an athlete. Stop by our shop if you ever need help or questions on application processes for hardwax or klister.